In addition to displaying standard access control and intrusion alarms (e.g. zone bypassed, panel armed, etc. 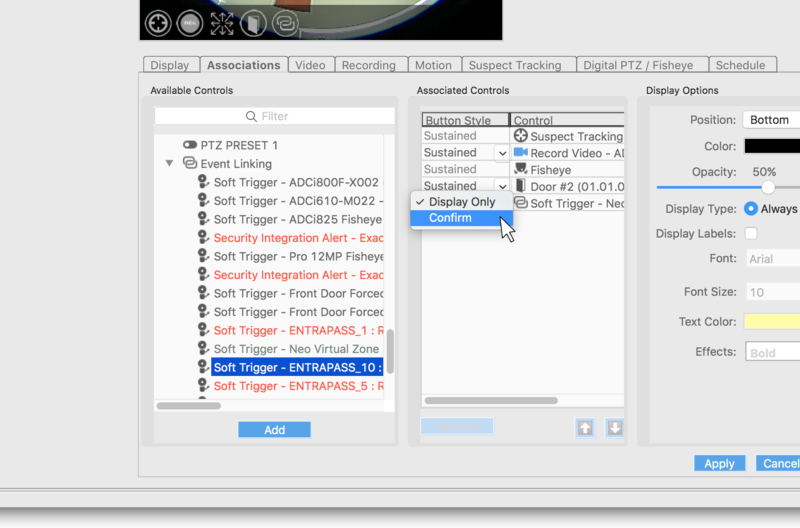 ), exacqVision now captures panels and controller health alarms such as low battery, power loss, and keypad tampering. These events can trigger actions within exacqVision and roll-up to ESM or exacqCloud health monitoring solutions to identify issues before they affect an organization’s security infrastructure. exacqVision now checks for automatic server-side updates, expanding upon its existing ability for client-side updates. Once users opt into this feature, exacqVision will automatically notify them when client or server updates are available for download, ensuring their system is always kept up-to-date. 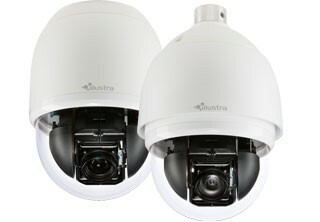 Users of analytics-enabled Illustra Pro cameras can now see visible boxes around analytic event triggers and search on specific metadata associated with analytic events. Visible bounding boxes make the triggering event easy to identify and are visible in both the Live and Search pages of the exacqVision client. When searching analytic events, the user can now further review analytic event results by drawing specific areas of the scene to filter results. These analytic enhancements allow for faster identification of triggering events and faster searching of past events generated from Illustra Pro cameras. exacqVision now integrates with Axis Perimeter Defender which allows users to monitor large areas based on object behavior such as loitering and conditional zone crossing (e.g. when an object enters one zone without first passing through another zone). 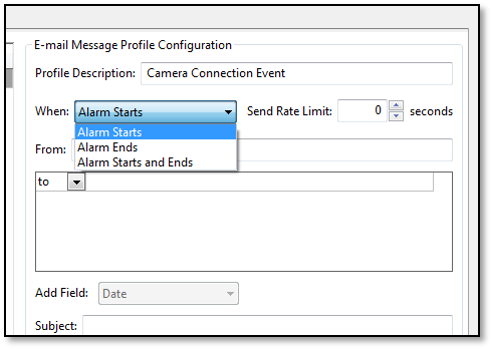 The integration can trigger actions within the exacqVision VMS, such as video recording or sending email notifications when a perimeter event occurs. 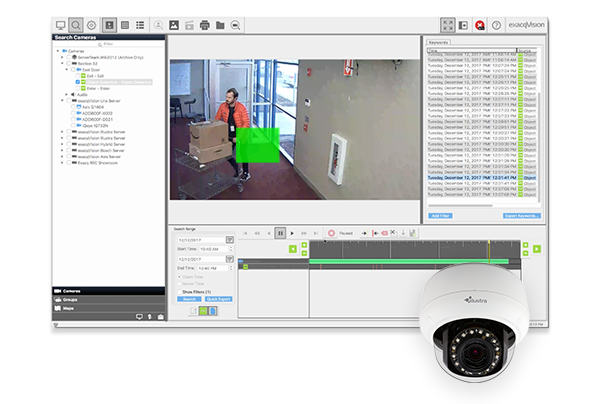 In addition, exacqVision now supports Video Motion Detection 4 (VMD4) on Axis cameras, which sends alerts when motion is detected. This new camera support is set to record based on movement, reducing storage and bandwidth usage. 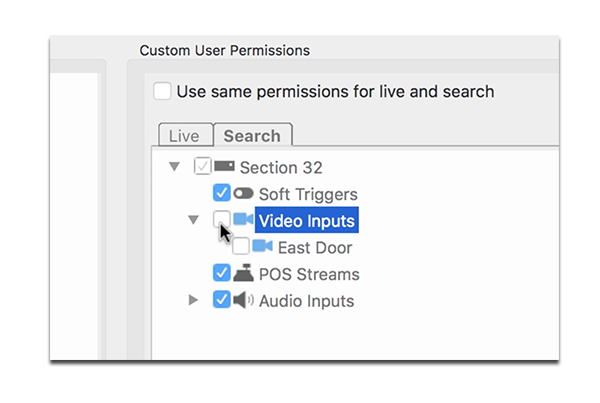 Admin users can now define ‘live’ and ‘search’ user group privileges individually per camera for greater control. They can grant a user live access to a specific camera, but restrict the same user from searching recorded video. 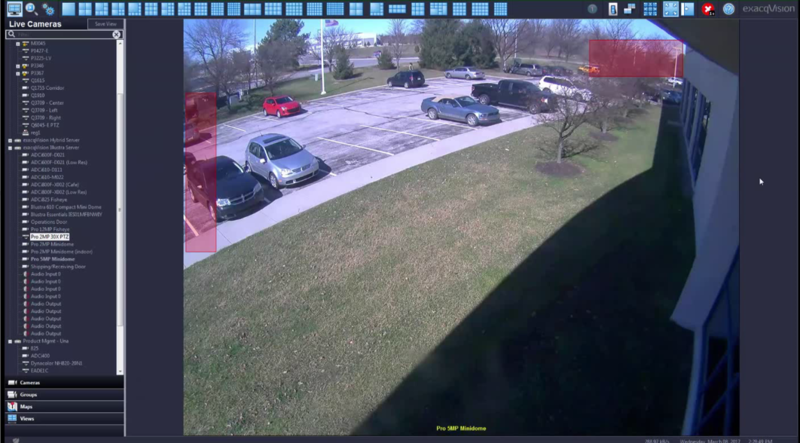 This capability ensures that surveillance video is only viewed by appropriate exacqVision users. In the latest version of ESM (5.4), users can be assigned to multiple groups, each with different privileges. This improvement addresses the requirements of large organizations, who often need to assign users to multiple groups of separate servers. 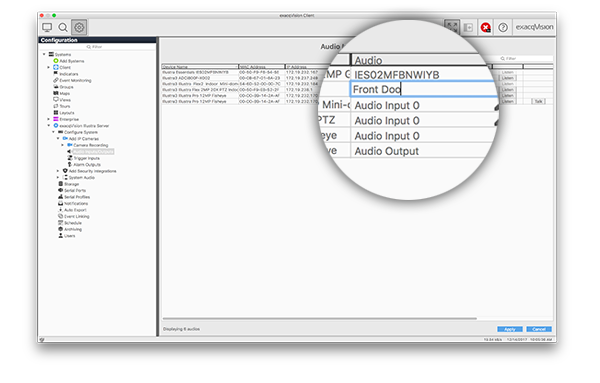 The user experience of configuring audio, trigger, and alarm inputs and outputs has been improved with the release of exacqVision 9.0. In previous versions, these inputs and outputs were grouped together in the client and gave users little information regarding the devices each was associated with. Now, not only is this information provided in a grid format for better organization, but it also includes helpful device information like camera name, model, and MAC address. A critical time-saving enhancement to exacqVision. It has always been easy to add servers to an Exacq Mobile configuration, but this process can become time-consuming when dozens or hundreds of servers need to be added to many mobile devices. With Exacq Mobile 9.0, you can create a backup of a mobile configuration, save it to a cloud destination, and restore it on any number of mobile devices, greatly reducing the time required to configure the app on mobile devices. 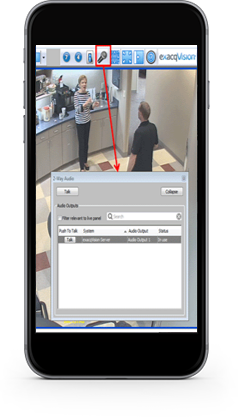 exacqVision 9.0 improves the way users access different camera associations on a mobile device. A new overflow menu prevents too many associations from taking up the entire screen, and a new wheel menu allows users to more intuitively interact with associations. exacqVision web services no longer installs a 3rd party webserver and now uses an embedded webserver within the exacqVision web service. 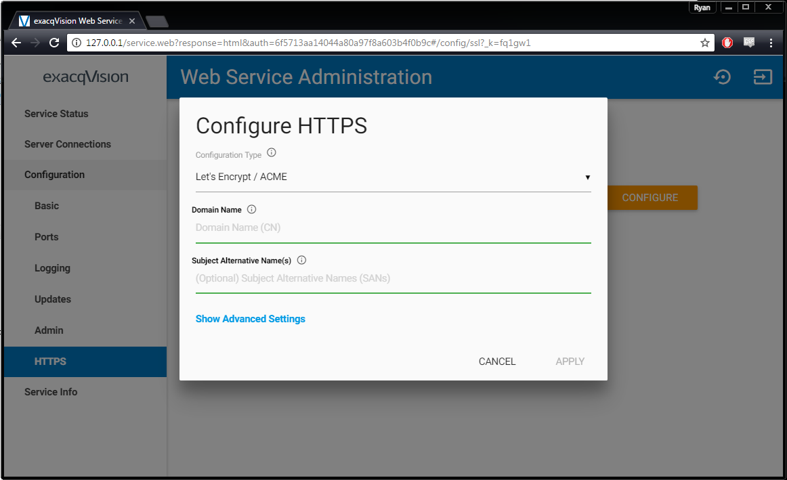 The new web service is more secure and will automatically get updated every quarter as part of the remote update, whereas Apache was not automatically updated when you updated the web service. This makes managing system updates easier for administrators and helps to ensure the latest version of software is running on your exacqVision web servers. 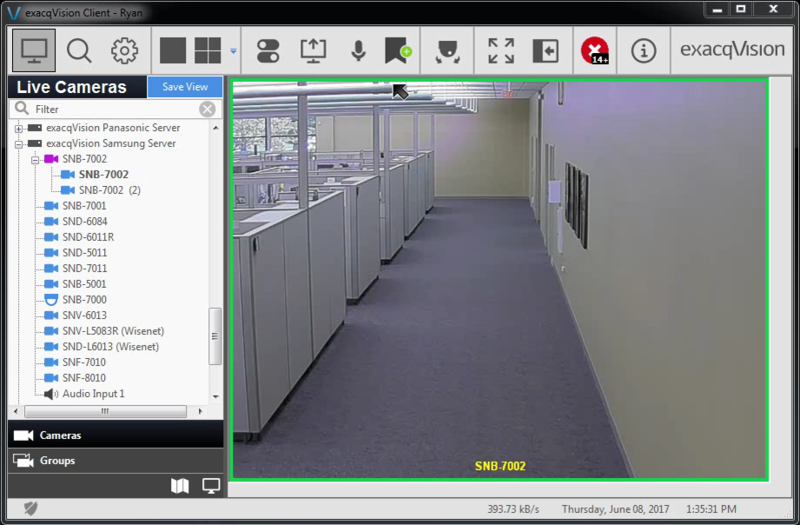 exacqVision 8.8 provides powerful tools that improve situation awareness and control for both administrators and users. Users can embed a web page as a panel within the client to give them important information such as weather updates or breaking news headlines so they can better react to imminent events that could potentially affect their business. Operators can now display any event linkage as an association which will appear on top of the live video feed. Ideal for associating access control or intrusion breaches, this capability is also very useful in applications such as retail, where metal/foil detectors are now being deployed to detect foil-lined bags, a new tool for shoplifters. Once the serial data profile is set up from the detector, whenever a foil-lined bag is detected, an alert will trigger and automatically appear on top of the corresponding live video, providing critical information to the retailer trying to prevent rising theft. This event linking functionality is also available with DSC PowerSeries Neo Virtual Zones which provides better integration between DSC’s access control products and exacqVision. exacqVision 8.8 introduces support for higher-resolution displays, including 4K monitors as well as Retina displays (for Mac). Users can now take advantage of single sign-on support when syncing exacqVision with ESM. Once configured, a user can log in to exacqVision and access ESM without having to enter his or her credentials a second time. This latest release adds very important controls for administrators looking to more strictly manage how and when users can access the VMS. Expiration of inactive accounts: Admins can now configure user accounts to expire once they have met a specified inactivity threshold (e.g. a certain number of days). For example, if a user hasn’t logged in for 90 days, his or her login will be marked as expired and the user won’t be able to log in until the admin re-enables the account. Automatic unlock of locked out accounts: Admin users can configure accounts that have been locked out due to failed login attempts to automatically unlock after a certain amount of time. Temporary guest accounts: Admin users can now create temporary guest accounts which allow users to access the system for a limited amount of time. This can give third parties such as law enforcement system access for a specified time period. Expanded access to preset tours: Users with “Allow PTZ” permission can now start and stop preset tours. For projects requiring dozens or hundreds of cameras across multiple servers, adding each camera one at a time can be a tedious and time-consuming task. 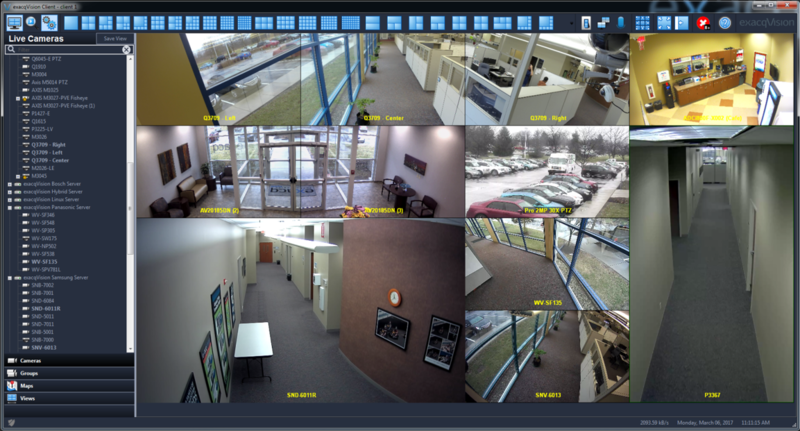 With exacqVision 8.8, users can import multiple IP cameras to several servers at one time via a CSV file, which includes the cameras’ IP addresses, usernames, passwords, etc. exacqVision 8.8 accelerates the process of identifying where cameras are located (e.g. lobby, parking lot) by displaying a preview image of a camera’s live feed when a user hovers over that camera’s name. This makes the configuration process significantly faster and more efficient. 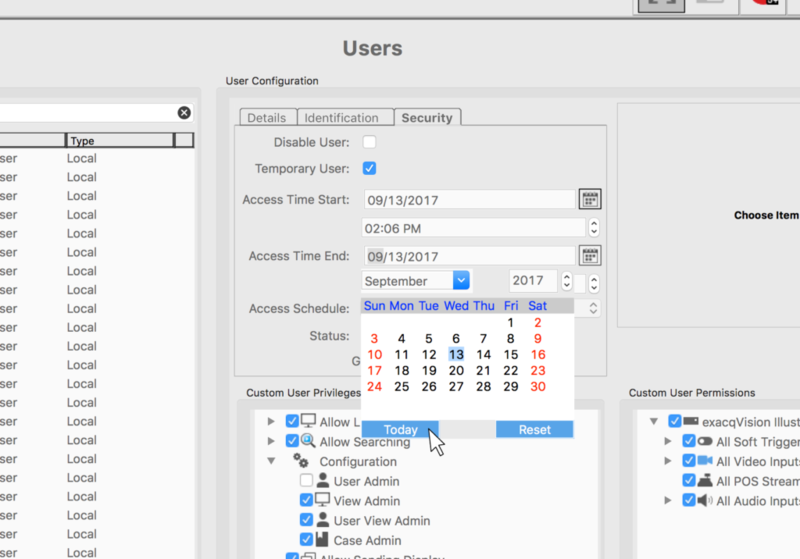 exacqVision 8.8 improves cybersecurity by requiring admin users to create a new password on their first login. It also improves the video export process by allowing the camera dewarp settings to persist in the video export. MP4 and AVI (Linux) exports are now supported. When selecting a multi-stream camera, the app now considers the image’s size and quality when selecting the correct stream. This will improve the app’s responsiveness when retrieving these video feeds. Previously, for cameras with a rotation set to 90 or 180 degrees, Exacq Mobile was displaying a smaller image which didn’t fully utilize the entire screen space. exacqVision 8.8 introduces a fix to this problem so the image takes advantage of the full screen size when retrieving a video feed. 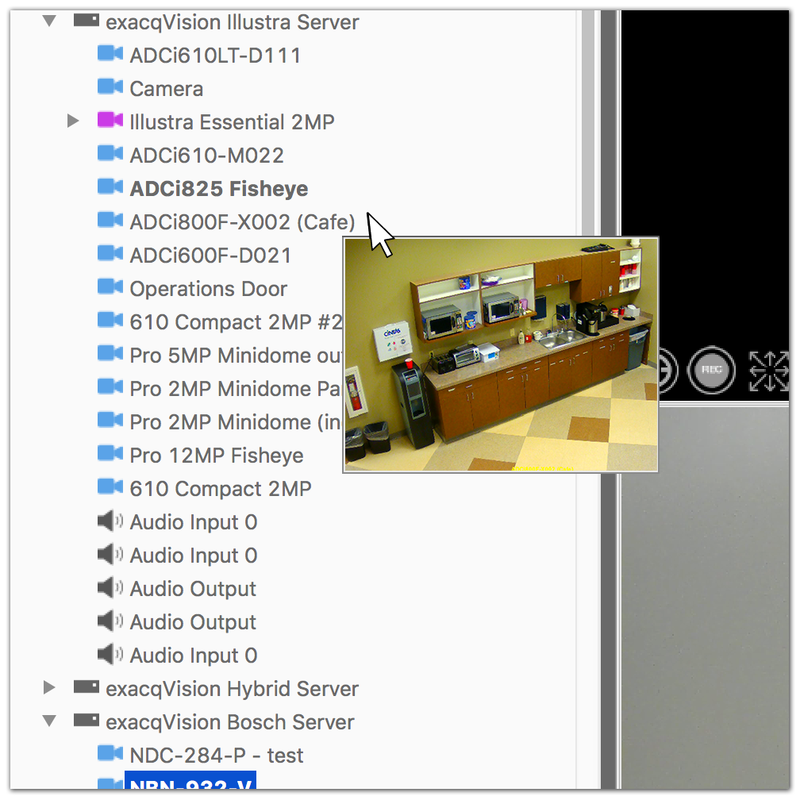 EXACQVISION 8.6: A MORE EFFICIENT USER EXPERIENCE, A BETTER PROTECTED SYSTEM. 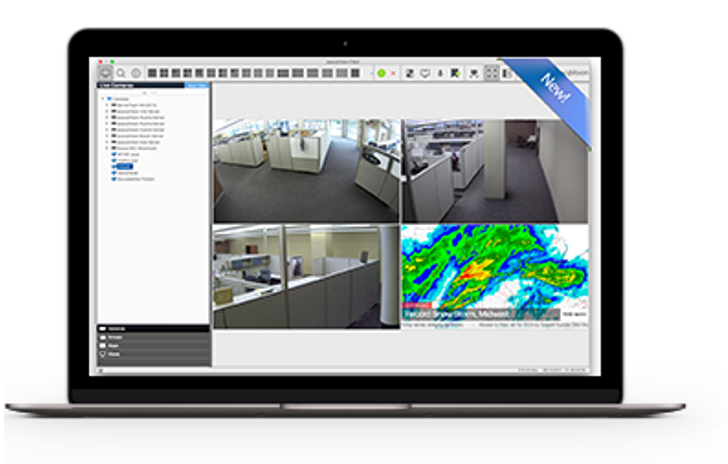 exacqVision 8.6 offers a host of new features that improve the user experience and overall system protection. exacqVision’s search capabilities now let users leverage event information from intrusion and access control systems for a more comprehensive security picture. This release also makes it easier for organizations to tag and retain important video. Every release provides an opportunity to provide more stringent protections against cyber-attacks, and 8.6 now offers complex passwords and system lockout criteria, making exacqVision a more hardened VMS than ever before. And, with a newly available free trial license of Enterprise System Manager, you can be sure your exacqVision system is running reliably at all times. You can now leverage event data from intrusion and access control systems to improve exacqVision search results and provide a comprehensive security picture. 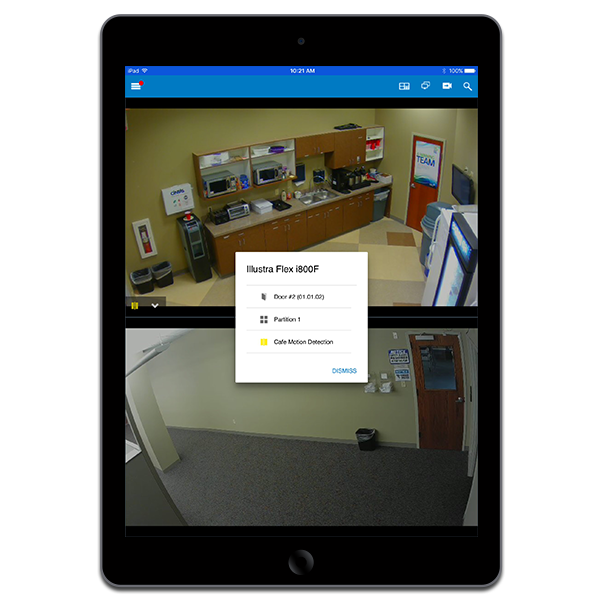 Easily search an access control badge number to obtain video of all entry points a specific employee has accessed, all without the need to set up metadata alarm events. Bookmarking and case management are very effective tools used to tag and retain important surveillance video and events. 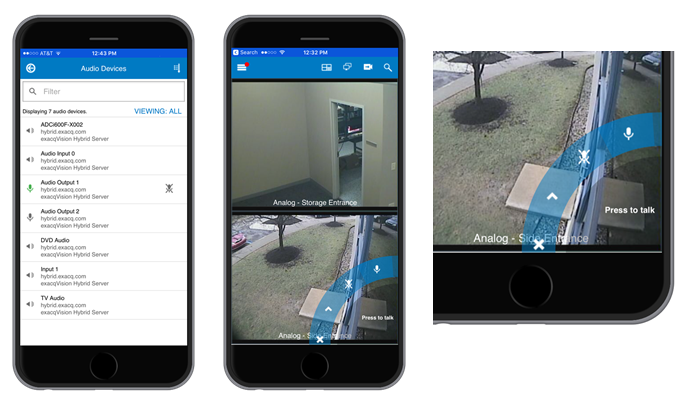 Version 8.6 improves this powerful functionality by allowing you to create a case directly from Live view, which includes all cameras that are actively being monitored. When exported, a collection of clips will be contained in chronological order from different cameras monitoring the viewing area. Quickly creating cases directly from live view, without needing to do a full video search, saves significant time when generating critical video evidence. The streamlined bookmarking capabilities will have an immediate impact on security efficiency. 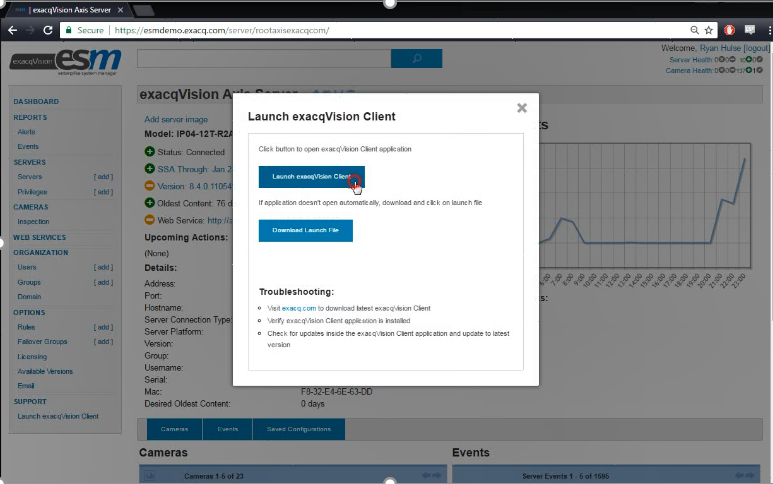 You can now completely customize the exacqVision client UI; from custom icons to colors and gradients, you can tailor exacqVision to fit your security deployment needs. Exacq Mobile app users can now view all partitions and zones – along with the status of each zone – from one screen. Simply touch a specific partition or zone on your device, and you can view video and arm, disarm, or bypass alarms for that area. This is true video management on the go! Frame sharing when duplicate streams are selected, and improved frame rendering all greatly enhance the Exacq Mobile performance. Additionally, the mobile interface now displays errors and status information to give you the clear information you need to better manage security on the go. exacqVision 8.6 introduces additional cybersecurity measures including: support for complex passwords, and user lockout after a specified number of failed login attempts. 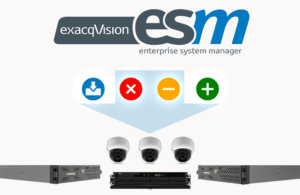 These enhancements all help to make exacqVision a more secure VMS. The latest release of ESM allows users to search and filter servers and events using keywords, server names, and date ranges, making it to monitor server activity over a specific period of time. Customers can now evaluate Enterprise System Manager (ESM) using a free trial license. The trial license expires after 45 days, but it can be extended with approval from sales. 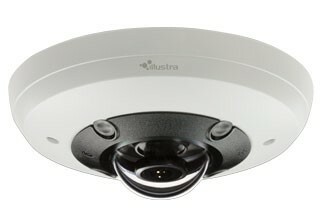 Supports H.265 streaming and configuration for all non-legacy Vivotek camera models.